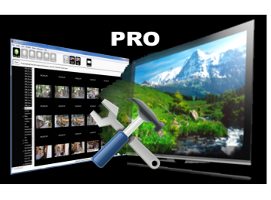 3DComposer PRO provides you with the most powerful tools for editing 3D pictures. It supports 3D Object editing and works with 3D photos that you created with 3DComposer, or pictures in MPO or JPS format taken with a 3D camera. You can define arbitrary shapes/regions/objects and you can place anywhere in the 3D space. You can remove or relocate objects in one of the views provided there is information to fill in on the other view. In addition to the advanced 3D Object capabilities, you can also use the standard editing functions. You can crop, adjust the color, and adjust the depth of your 3D pictures. 3DComposer can even automatically optimize the 3D effect of pictures taken with 3D cameras. It's also easy to add tags to your 3D pictures to help identify and organize them. Please visit the 3DComposer PRO page for more information on 3DComposer PRO including training videos and examples of its capabilities.